As a child, I remember trying to wake up earlier than my brothers so that I could have the first choice of cereals… and then eat it all so they couldn’t have any. Sometimes I’d come into the kitchen and find one of them already devouring/hoarding the best cereal. It was a cutthroat childhood business, cereal-eating. in a small pot, melt coconut oil and mix with honey and vanilla. Toss nuts, seeds, flakes, raisins, and cinnamon with the oil mixture. Coat evenly. 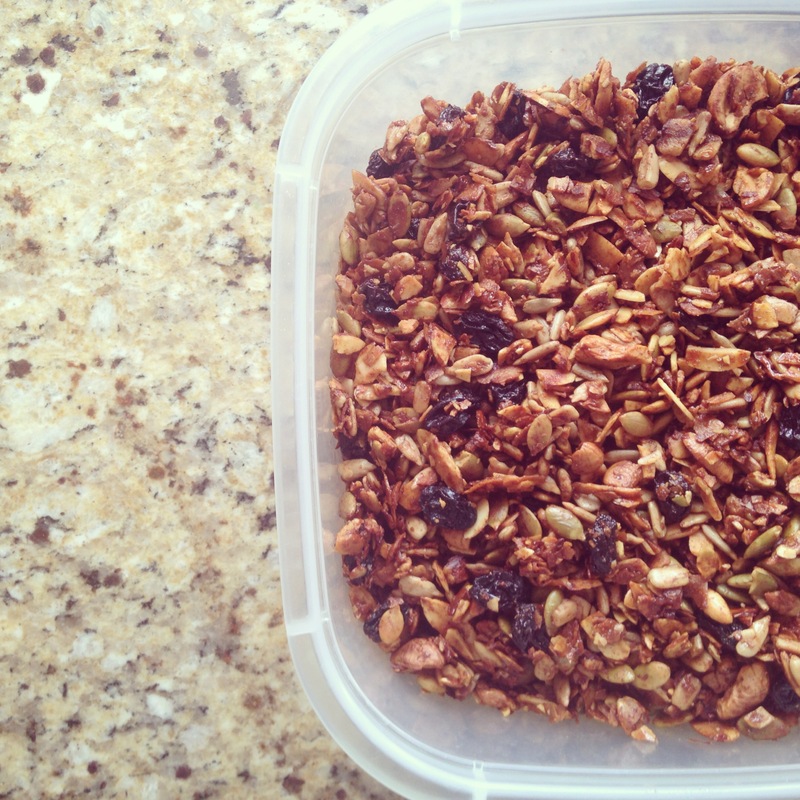 Spread into a thin layer on a baking sheet and bake for 15-20 mins, until nuts, seeds, and flakes are golden.